I can't believe another week has gone by and it's Sunday again. This week I thought I'd give you a quick low down of all the things I've been up to. This week I finished reading one of the books from my To Read List; The Shining Girls by Lauren Beukes. Im not sure how I felt about this book, it was well written and had an interesting story line, but I felt by the end it became slightly predictable and lost the mystery effect that had kept me reading. 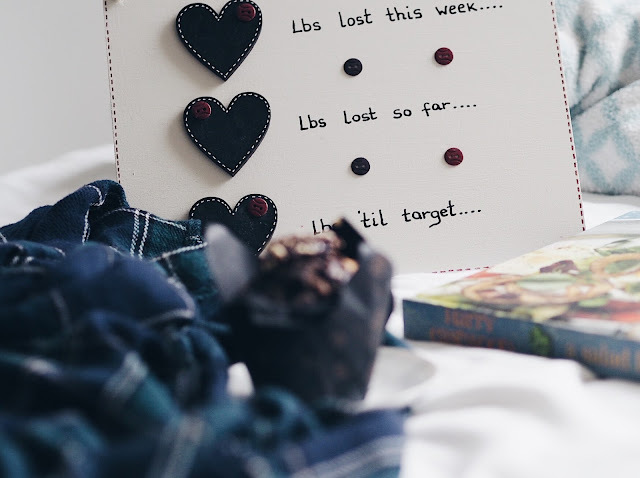 I've been loving Rachael's blog this week especially having a nose through her holiday photos! It's made me want to pack a suitcase and get away. Another post that made me want to get away and travel was Danielle's Top 5 National Parks post. All the places look so beautiful and amazing places to visit. I was shocked that one of the parks was in Scotland as the photo didn't look anything like how I imagine Scotland! This week I blogged about my day trip to Conwy in Wales. The boyfriend and I explored the castle and spent most of our day imaging the people who lived and worked there when the castle was in use. Something new for me this week was my first outfit post! Taken in York during our mini break there it features a maxi dress that I am in love with. Even though a maxi dress is not something I'd never normally wear I decided to push myself out of my comfort zone. If you follow me on twitter you will probably be aware that I've been running a lot recently, and that's because Im training for a 10k race! I wrote about my decision to take on this challenge on the blog this week, and I'll be giving updates on my progress. Although I've been eating quite healthily last night a did cave and ordered a cheeky dominos with Josh, and it was definitely wasn't my fault that it came with a free tub of Ben & Jerrys that had to be eaten! I may not eat it, but this drink had to be mentioned as I've been obsessed with it lately. The Caramel Latte Cooler from Costa is heavenly, so much so that I'll make a trip to town just to get one. I finally got round to watching the Avengers Assemble film and I thought it was great. A great mix of different 'super heroes' which led to hilarious comments and one liners that made the film. I loved all the characters and my favourite kept changing, but Hulk's fighting had me in stitches, especially when he fights with Loki. On youtube this week I've been re-watching Vivianna Does Makeup videos. I especially love her weekly blogs and she's fast becoming one of my favourite beauty bloggers. My new trainers for running. They are beautiful and so comfy and I can't wait to put them on each day, even when Im dreading my run I feel better about it once I lace these beauties up. Having Josh come to stay. After a few weeks apart I was starting to miss him and having him here this weekend has been great, even though we've just chilled and haven't got up to much It's still been great. The air con breaking at work. I get hot enough at work even with the air con on, so no air con felt quite literally like hell. We were all sweating hideously and my 4 hour shifts seemed to be never ending! Missing blogger chats. Working 5.30-9.30 weekday evenings means missing most of the blogger chats on twitter. I really enjoy taking part in the chats and Im gutted Im missing them. Hope everyone's enjoying their Sundays and has a brilliant week. Lovely sum up post! I'll have to pop over to Rachel's blog too as I love to nosey at peoples holiday snaps too! And thanks so much for including my post, it's so strange that photo of Scotland isn't it...a far cry from where they're holding the commonwealth games anyways! Ah typical air con would break when it's this weather, guuh. Hope it gets fixed quickly for you. No problem, it was a great post that made me want to go visit so many places! I really want to make a trip up to Scotland now. And yep stupid air con, the building is only a few years old as well, I hope it's fixed for my shift today! Loved your idea for a catch up post, I'm new to blogging and hadn't seen that before! I just stumbled accross your blog and have never seen a blog name so relevant to my life. As a lit student my life literally is, essays and wine. Hope the aircon got fixed at work! 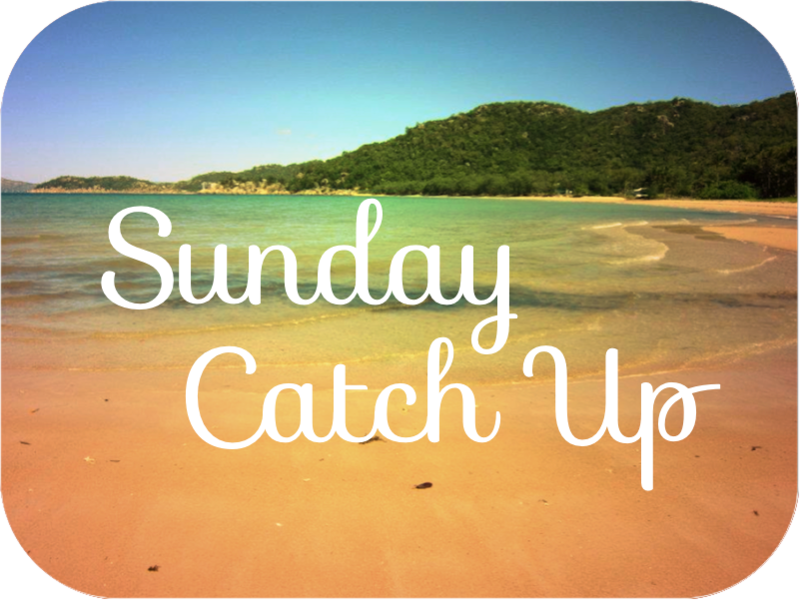 It's something I like to do most Sundays just to make my blog a bit more personal. I know how you feel, student life needs a glass of wine just to get through it! Luckily the air con did get fixed, couldn't have coped a whole week without it!